Since Hyeong Joong injured his hand while trying to catch Eun Ho’s stalker in the previous episode, he’s going around the gym telling everyone that she is his girlfriend. The boss gathers all the employees at the gym together to scold at them about the rumors about a gym personnel dating a member. He misunderstands one of Eun Ho’s co-workers as the subject of the rumors. Eun Ho is troubled about this whole Hyeong Joon matter and asks him to stop bothering her. However, it does not work out as he still shamelessly flirts with Eun Ho. Eun Ho’s friend Kim Mi Yeon discovered from Eun Ho that it was Dong Jin who introduced her to Hyeong Joong. Mi Yeon decides to take revenge on Dong Jin for doing that to Eun Ho. 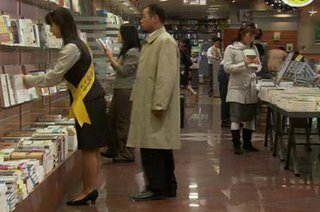 She visits his bookstore and tells him that Eun Ho wants to match-make the two of them to return the favor. In actuality, she wants to get Dong Jin drunk, seduce him, and record the whole thing to humiliate him. However, her plan doesn’t work because although he’s shallow like most men, he’s still a considerate gentleman. Instead of falling for Mi Yeon’s trap in her car, he puts a coat on her and leaves the car. As Mi Yeon watches Dong Jin, viewers get the sense that she’s starting to like him. However, she drives off leaving Dong Jin stranded in a place with no access to public transportation. The next morning, Eun Ho is worried about Dong Jin because she heard about what happened from Mi Yeon. They meet at their usual donut shop and begin to quarrel, Eun Ho about how her work and personal life is messed up after he introduced her to Hyeong Joong and Dong Jin argues about Eun Ho and Mi Yeon’s revenge plot. They stop arguing when two pairs of mother and child sit down at the next table and the mothers are scolding their kids for always fighting with each other. At home, Eun Ho seeks the advice of Ji Ho as to how to get rid of Hyeong Joong. Ji Ho suggests that Eun Ho shows her real personality to Hyeong Joong to make him give up because in his mind, the image that he has of Eun Ho from five years ago is probably vague and unrealistic. Eun Ho decides to meet up with Hyeong Joong to put Ji Ho’s advice into action. Hyeong Joong takes Eun Ho to a park and tells her about his original plan to woo her. It is here that we find out when Hyeong Joong met Eun Ho and why he likes her. 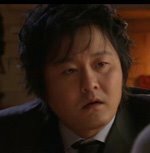 The flashback shows that on the night before Eun Ho’s wedding, Hyeong Joong was very angry and fed up with his life; he wanted to commit suicide. He fell asleep, however, on the park bench probably because he was too drunk. In the morning, he was woken up by a woman’s voice and as he opened his eyes in the sunlight, he saw a very happy Eun Ho. He asked her whether she was happy and when she answered “yes,” he asked her why. Eun Ho replied, “I’m happy because I’m alive.” Seeing that Hyeong Joong was depressed upon leaving the park, Eun Ho asked him to place his hand on the left side of his chest to feel his heart beating. She told him that since her happiness index was high today, she would share some of her happiness with him. Eun Ho’s optimism and encouragement lifted his spirit and saved his life. Now, Hyeong Joong asks Eun Ho whether her marriage was unhappy because he took some of her happiness. He says that he’ll take responsibility for that and Eun Ho laughs. In the meantime, Dr. Gong is still trying to get Dong Jin and Eun Ho back together again. He even got Ji Ho to stalk Hyeong Joon with him by bribing her, this time not with food but with money. In this episode, we also discover that Yu Ri (“Demon in Black”) is also Dong Jin’s friend. She goes to Dong Jin’s bookstore to sell tickets for her upcoming wrestling match and greets him with a painful headlock, her way of saying “hi.” Everyone attends the match, which, by the way, is very violent. The “Demon in Black” is winning in the beginning but loses to the “Angel” at the end. When Yu Ri is laying in the ring after she is knocked down, we can see that she is starting to feel tired of this hobby because it is taking too much of her energy and stamina. After the wrestling competition, they meet up at the usual bar. It is here that the drunk Mi Yeon brings up the awkward and uncomfortable question about why did Dong Jin and Eun Ho break up. No clear answer is given. Also, Hyeong Joon declares here that he wants to date Eun Ho as a prelude to marriage. Then Dong Jin asks Dr. Gong about why he’s single and always seems to have plenty of free time. Dong Jin asks whether he is gay. At this moment, the bar’s chef who has been busy with his work perks up at the suggestion. However, when Dr. Gong replies that he loves women more than anything, the chef looks disappointed. Aw.. This scene is fast, only lasting around a minute or so but I find it funny. Watch it and you’ll know what I’m talking about. 2. Any scene with Ji Ho. Have I mention enough how much I like this character? Well, here goes one more time. I love this character! Last episode, Eun Ho unintentionally embarassed Dong Jin in public. Hence, at the beginning of episode 2, Dong Jin plans to introduce Eun Ho to a man that has all the characteristics that she dislikes as a way to take revenge. However, his plan falls flat because on the meeting date, the new man is not who Dong Jin thought he would be. Who is he? Well for now, we know him as Min Hyeon Joong, a person who has met Eun Ho previously on her wedding day to Dong Jin. However, Eun Ho has no recollection of ever meeting him. She goes through her wedding photos and discovers that he was actually there. Hyeon Joong remembers many particular things about Eun Ho even though it has been a few years since the wedding day. During this time, there is an incident at Eun Ho’s gym. Someone has been stealing Eun Ho’s underwear from her locker. Thus, she misunderstood that Hyeon Joong is that stalker. Eun Ho is worried and calls Dong Jin out to tell him about her troubles. Concerned for Eun Ho, Dong Jin and Dr. Gong go to Hyeon Joong’s workplace to spy on him. This leads to a hilarious scene! As it turns out, Hyeon Joong is not the stalker and while helping Eun Ho catch the real stalker, he is hurt. Thus, Eun Ho accompanies him to the hospital. In the meantime, Dong Jin is trying to get a hold of Eun Ho to tell her about what he has found out about this new man but is unable to contact her since she left her phone at the gym and Ji Ho doesn’t want to pick up the home phone. Desperate, he calls Hyeon Joong’s phone only to hear Eun Ho’s voice on the other line and at the same time, a nurse saying “Room 407.” Not knowing that they are at the hospital, Dong Jin thinks that it is a hotel room number and that they are spending the night together. In disbelief, he stays up all night! The next morning, he goes to Eun Ho’s workplace to ask slyly about last night’s event, telling her that she shouldn’t be “so easy or else her value will drop.” They then have their usual sarcastic banter. It is here that Dong Jin meets Eun Ho’s childhood friend Kim Mi Yeon. This is a funny scene because when Mi Yeon walks in, all Dong Jin could focus on is her “chest area.” And Eun Ho gives the “eesh, typical man” type of facial expression. While this is happening, Eun Ho narrates that she begins to regret introducing them to each other. Not able to get a clear answer from Eun Ho about whether or not Hyeon Joong and her slept together, Dong Jin’s mind is preoccupied the whole time he is at work. He is extremely bothered about what he thinks has happened between Hyeon Joong and Eun Ho. However, after getting a call from Dr. Gong (who used food to bribe Ji Ho for information) about what really happened on the previous night, Dong Jin is happy again. She is Eun Ho’s friend. They met when she went to Eun Ho’s gym for help with her knee problem. She wrestles for fun and is known as “Demon in Black” in the wrestling ring. She is from Eun Ho’s hometown and was her childhood friend. They meet again at the gym when Eun Ho is teaching a swim class. She is able to recognize Mi Yeon because Mi Yeon’s daughter looks exactly like her when she was little. A very funny scene in this episode that also brings up an interesting point. Do most, if not all, women like to be saved by a big, strong man; be it consciously or subconsciously? This scene made laugh out loud because Le Ha Na (the actress who plays Ji Ho) is hilarious and has great comedic timing! JH: That guy, Min Hyeon Joong saved Unni yesterday. DG: The one in movies? Why does Jane like Tarzan so much? To whichever guy that had saved her before. She is destined to be attracted to that guy. Why do all these similar stories able to adapt to movies all the time? Is it because these women have the mentality to feel protected? That’s right, I’d get attracted by those kinds of men too if it was me. My whole body cells were jumping with life. Special thanks to WITH S2 for providing the English subtitles. doozy: Episode 2 shows that Dong Jin still worries and cares deeply for Eun Ho, which makes me think whether or not he’s aware of his feelings. If he isn’t, then he’ll know eventually. However, if he is aware, then what is it that’s keeping them from reuniting? 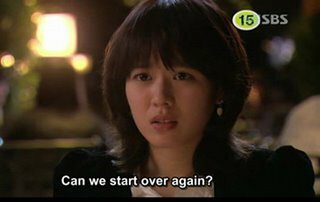 Alone in Love Episode 1: Can We Start Over Again? He works as a manager at a bookstore. He is divorced from Eun Ho for almost two years. She is a physical fitness trainer at a gym. She is Dong Jin’s ex-wife. He is the head of the OBGYN department at a hospital. However, he has a fear of labor and the birth process. He is Dong Jin’s classmate bestfriend. She is Eun Ho’s sister. She has a very carefree and quirky personality. At twenty-three years of age, she is still unemployed and lives with her sister. 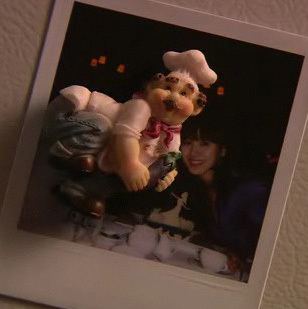 Episode 1 opens with Eun Ho recalling her baptism to Dong Jin at their anniversary dinner. As it turns out, they were married at this hotel and thus, each year the hotel sends them coupons for a free couple dinner on the anniversary of their marriage. Although Dong Jin and Eun Ho have been divorced now for almost two years, they still take advantage of this benefit. The dinner scene was a hilarious introduction into the drama because of the witty and sarcastic banter between the two. Episode 1 shows us that even though two people are legally separate on paper, they are not completely gone from each other’s lives as their paths may cross coincidentally or not on many occassions. First, there is the settling of the money issue. 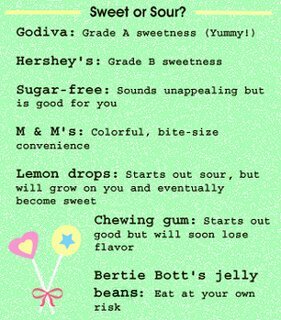 Second is returning what you’d once borrowed from each other. Then, there are also the coffee shop that you visit as a part of your everyday routine and the bar that you come to relax with your friends. Hence, your life is still very much connected with your previous significant other even though the two of you have split. Meeting at their child’s grave. Since their divorce, Dong Jin and Eun Ho have been leading their lives like this. They’re still a part of each other lives, meeting on several occassion, and throwing out sarcastic banter back and forth like they are old friends. Even when they are not with each other, they’re reminded of the times they spent with the other person; like Dong Jin remembering his first date with Eun Ho while he is on his first blind date after their divorce. It’s also difficult to not be a part of the other person’s life because they share the same friends, especially Dr. Gong wants them to reunite and would try to make that happen at any chance that he gets. Towards the end of episode one, Eun Ho is confused about her feelings for Dong Jin. She is unsure as to whether or not the feelings are out of love or just pure concern for someone that you’ve known for a long time. She misses the old times that she spent with Dong Jin but there are flaws and bad habits of his that she can’t stand. Thus, she calls into a radio show to ask for advice. The advice that she receives is to treat the other person like she’s his mother, meaning to forgive and overlook the person’s flaws like a mother would for her child. And so, Eun Ho sets a dinner date with Dong Jin to tell him that she wants to start over again with him. However, it was to no avail because 1) Dong Jin isn’t paying attention to what Eun Ho is saying and 2) it is here that Dong Jin, playing matchmaker, introduces a man to Eun Ho. 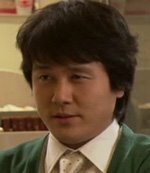 Dong Jin chooses to introduce this man to Eun Ho because he thought the new man stands for everything that Eun Ho hates. However, he is surprised when things do not go as planned. End of episode 1. The picture taken at the anniversary dinner. The same picture on Eun Ho’s refrigerator. The “fantastic four” hanging out on Ji Ho’s birthday. A hilarious scene! The atmosphere is silent and calm when Eun Ho, irritated by what Dong Jin has said earlier, yells out for “Taxi!” Dong Jin’s reaction is classic. Uh oh! Psycho alert! This pervert was making the employee very uncomfortable. Dong Jin saw the situation and stood up for his employee. 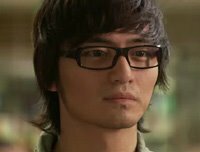 However, his kindness was repayed with a misunderstanding that resulted in a funny moment when the pervert took revenge against Dong Jin for embarassing him in the bookstore. Watch the scene and you’ll know what I’m talking about. Poor Dong Jin! The next day, he was still traumatized by the experience. doozy: The first episode has a mix of funny moments and quiet, reflective moments. Already, I can feel the chemistry that the cast has together as they play off one another. There is this subtleness appeal to the first episode that draws in viewers who appreciates it, and I’m one of them. This episode earns a Hershey’s chocolate.